Welcome to our new customers and hello again to those of you on your second month with us. August has proved to be a very busy month for us. Between consistently moving our nine animal groups to fresh grass and preserving the bounty produced by our 45 tomato plants, we have been moving non-stop. 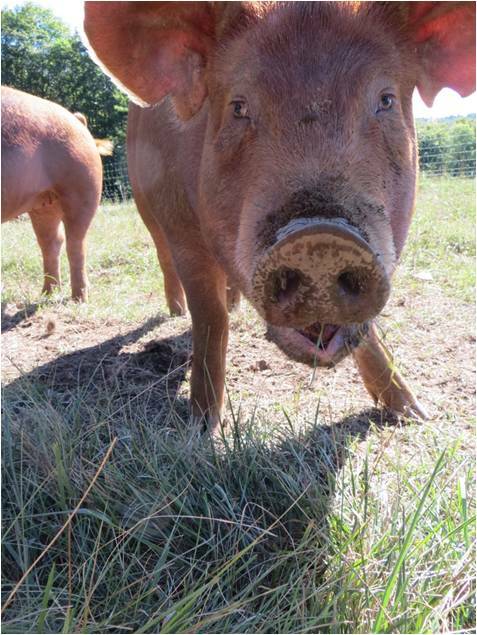 However, as you will be enjoying our first pork of the season this month, we thought we should take a break from our work to tell you about the many pigs on our farm this year. This season our pigs have been rotationally pastured and fed a twice-daily ration of whey from Blythedale Farm (if you haven’t tried their cheeses, you should!) along with a serving of locally milled grain. Our numbers this year will total 15 feeder pigs, those raised from 8 weeks to 7 months on our farm, and three sows to be bred this fall for the first time. We are very excited about our sows. “Gibbous” and “Crescent” are Tamworths, a heritage breed we are quite familiar with, while “Luna” is a Berkshire, another heritage breed that is new to us this year. All three girls enjoy daily ear scratches from Hayley and the occasional “wild chicken” egg from Eben. Stay tuned for more sow and piglet information as we approach farrowing time in February and March! 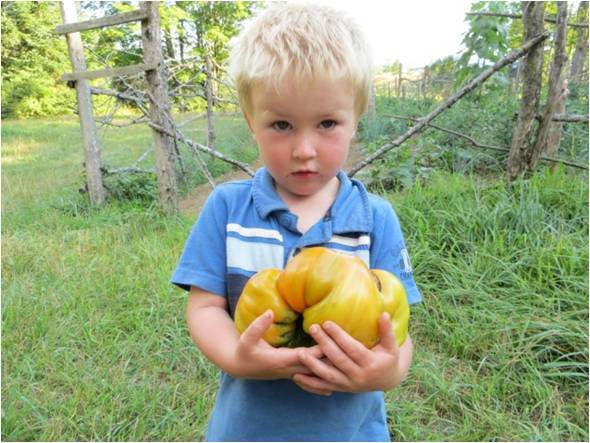 We hope you enjoy your farm share this month, particularly our featured pork products and new sausage links. Take care and enjoy these last precious weeks of summer! This entry was posted in Blog by wintermoonfarm. Bookmark the permalink.